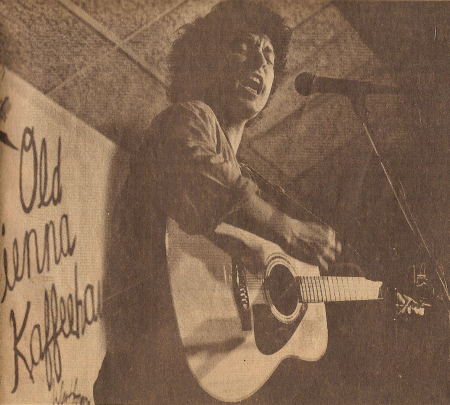 This shot was taken during the open stage at the Old Vienna Kaffeehaus circa 1991. It appeared in a Sunday feature article about music at the Old Vienna in the Middlesex News. The Old Vienna open stage was always chock full of talent. On any given Thursday night you could see a host of great songwriters including: Ellis Paul, Dar Williams, Don White, Jon Svetkey, Tom Keane, Mike Duffy, Maria Sangiolo, Jim Infantino, The Nields, Greg Greenway, and Geoff Bartley.